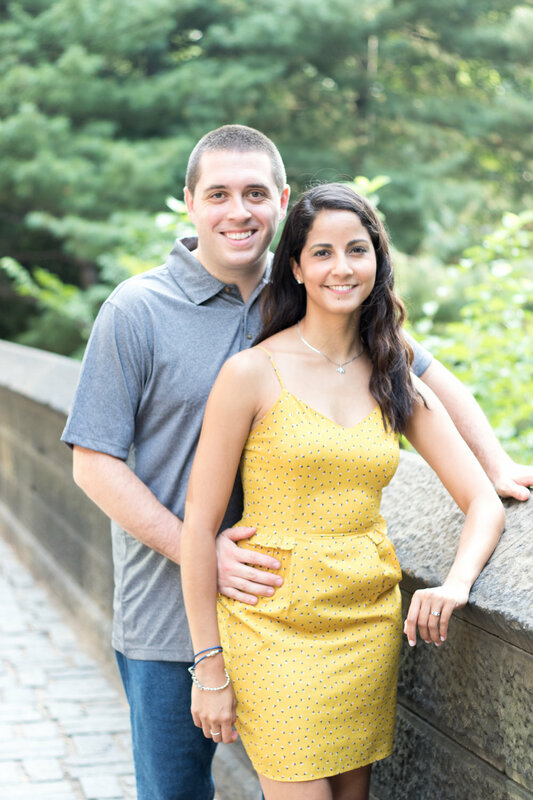 However, in the excitement of the day, it can be easy to forget about very simple things that can make for a smoother and more successful engagement shoot. Here are a few suggestions I compiled when thinking of what couples can wear for an engagement photography shoot. First, it would be helpful to decide beforehand whether the shoot will be more casual, formal, or both. There are benefits to both and it really comes down to the kinds of images you’re looking for. Don't forget the Engagement Ring! In general, clothing you're comfortable moving in is great, as there will most likely be a bit of walking at the locations! During the colder months and particularly in the North East, I suggest to dress how you'd like the photos to appear. Even if that's a sun dress and sandals. But if that’s the case, bring coats, mittens, hand warmers - anything to keep you warm during off time and while traveling to the locations. 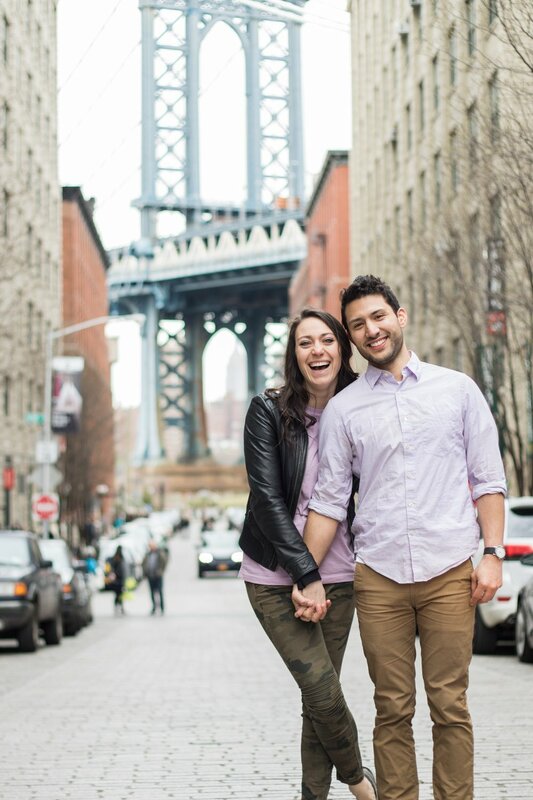 One of my most memorable cold weather engagement shoots occurred in under 49 degree weather, on the Brooklyn bridge, with wind, by the water. It was cold. And the future bride wore a thin dress. She had to cover up every chance she could – while I checked out the images on my camera, while I changed lenses, and while we walked. But the end images were truly magical because of it. For the photo shoot, plan on having a good time! Even if we meet early in the morning, when you’re in a good mood, the pictures will show and you'll get great photos in the end. Be ready for lots and lots of photos. I take a large amount of photos and only send you the best.